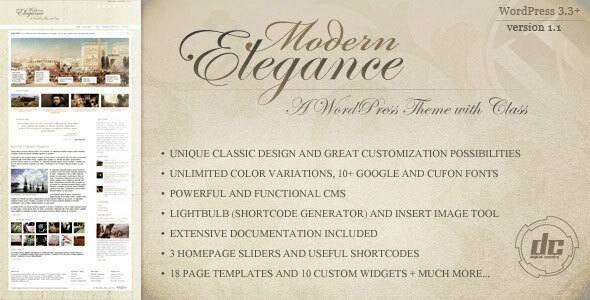 Modern Elegance is a stylish and classic WordPress theme with rich customization possibilities. Powered by a unique, massive and functional CMS , gives you a very high level of control over the live site and all its features. Equipped with additional tools designed for faster editing and additional content display. Welcome in the Age of Modern Elegance!